We are pleased to introduce you to the 2019 Invest In Others Scholarship recipients! 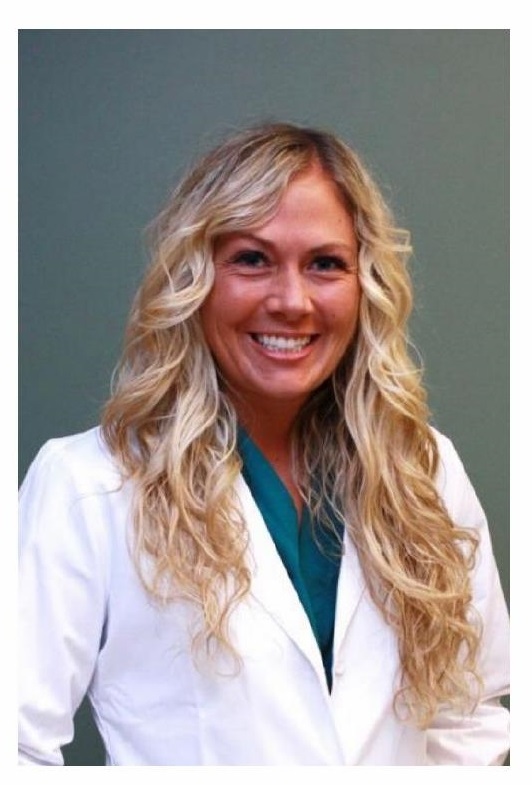 Breann Allen: Breann is currently enrolled at Lake Erie College in their masters level Physician Assistant Program. For four years prior to enrolling in physician assistant school, Breann worked as a medical scribe. In this capacity she worked alongside a provider helping him/her document and examine the patients. Breann is an active volunteer participating in Sparrow's Hospital Teddy Bear Clinic, the Painesville Trunk or Treat event, the Oral Health Project and the Campus Wide Health Challenge. 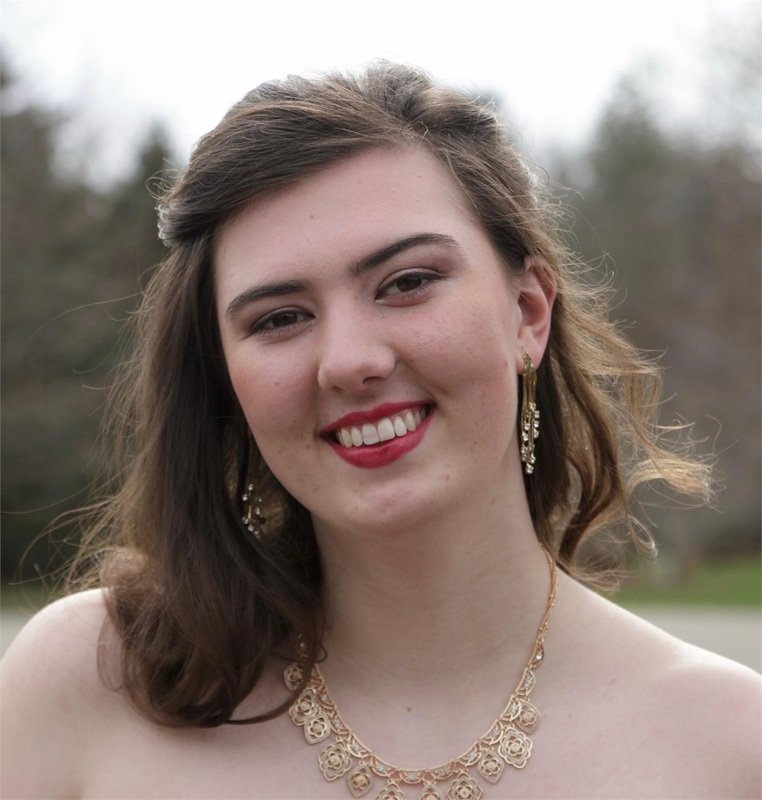 Breann carries a 3.85 grade point average and intends to graduate with honors. Her goal upon graduation is to work as an emergency medicine Physician Assistant. 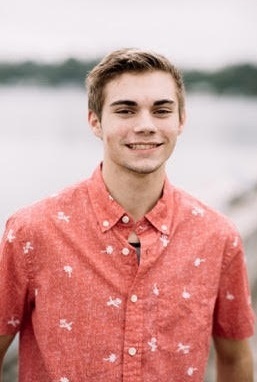 Ethan Dixon: Ethan is a senior in high school with a goal of pursuing a Dramatic Arts degree with a concentration in the theater. He is a member of the National Honor Society and an intern for the school's theater director. His internship has allowed him to gain invaluable knowledge in technical theater, which includes lighting, sound and set building. His future goal is to be a Director on Broadway. His ultimate goal is to direct an award winning show on Broadway! 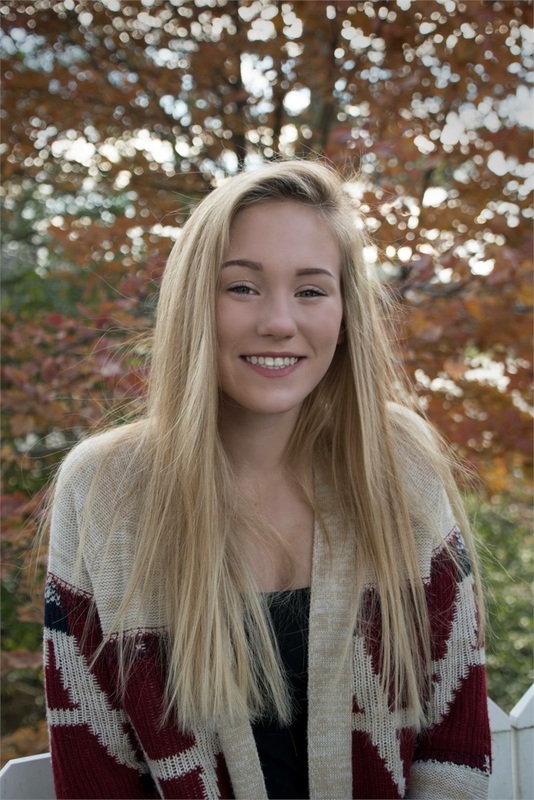 MacKenzie Dixon: MacKenzie is a senior in high school and Ethan's twin sister. She is a kind, loving and compassionate young lady. She enjoys volunteering at her local senior center making sure all are comfortable and engaged in the activity around them. Her compassion further shows through when she is helping her friends navigate emotionally challenging events in their lives. Her goal is to pursue an Animal Science degree from either Colorado State University or Oregon State University and to graduate with a veterinarian science degree. At this point she is unsure as to whether she would like to work with small or large animals. 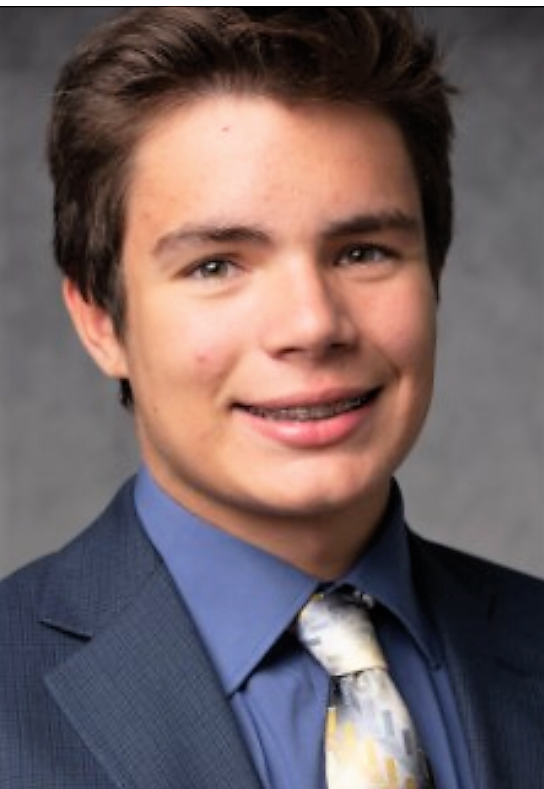 Adam Pilon: Adam is a senior in high school and a member of the National Honor Society. He enjoys playing hockey and has been nominated as the captain on three separate teams. This honor has taught him responsibility and made him aware of the fact that respect is earned and not given. His favorite class in school is Chemistry. Last year he expanded on this passion by taking Advanced Placement Chemistry. He loves following the chemical process from development through to application and reactions. He has not yet finalized his college choice, but his goal is to pursue a Chemical Engineering degree. Malori Salamango: Malori is a Freshman at Grand Valley State University. As a high school junior Malori was a teacher's assistant. This gave her first hand knowledge on how a normal classroom works. She has used this knowledge to make comparisons between that classroom and the special education classroom where she volunteers on a weekly basis. Her volunteering at Dickerson Elementary School in their special education classrooms has reaffirmed her decision to work within the special education community. Her goal is to become a Special Education Teacher with a major in Comprehensive Science and the Arts for Special Education. Please join us in congratulating these impressive young people! 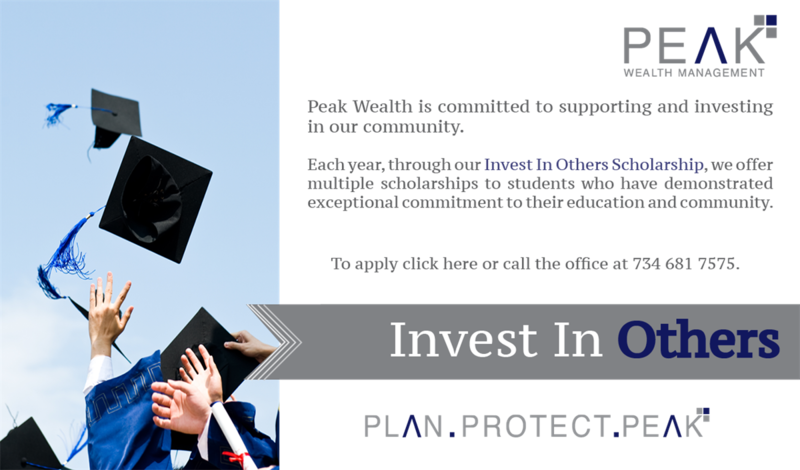 Peak Wealth Management is a full-service Registered Investment Advisor and Certified Financial Planner located in Plymouth, MI and also serving the surrounding communities of Northville, Novi, Livonia, Canton, and Ann Arbor, Mi. As holistic Financial Advisors, we believe by providing education and guidance, we inspire our clients to make great decisions putting them on a path toward fulfillment and their own definition of true wealth.